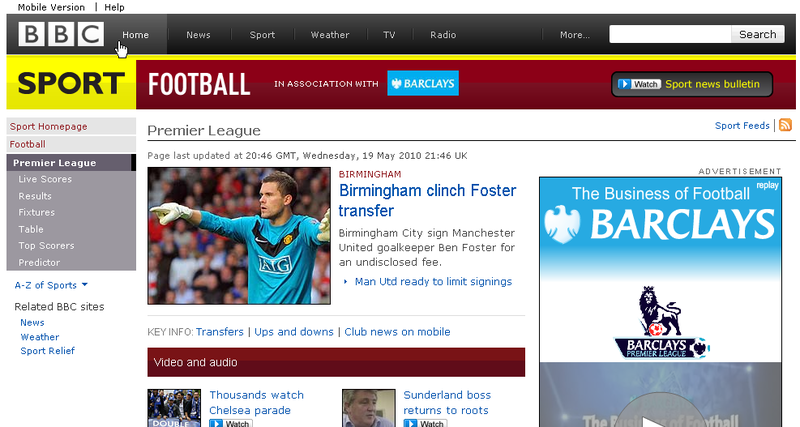 The BBC have been gradually upgrading the design and visual interaction of their pages over the last 12 months. The latest upgrade is very subtle but is a great improvement to the design and usability of the pages. Within a deep page of the BBC site if you want to get to the homepage or a high level category, you can access these using the horizontal navigation bar pictured at the top of the page in black below. However, when you hover over the categories the tab is highlighted in grey to visually indicate you can click it. This is very subtle but a really nice improvement to the design and interaction on the site. 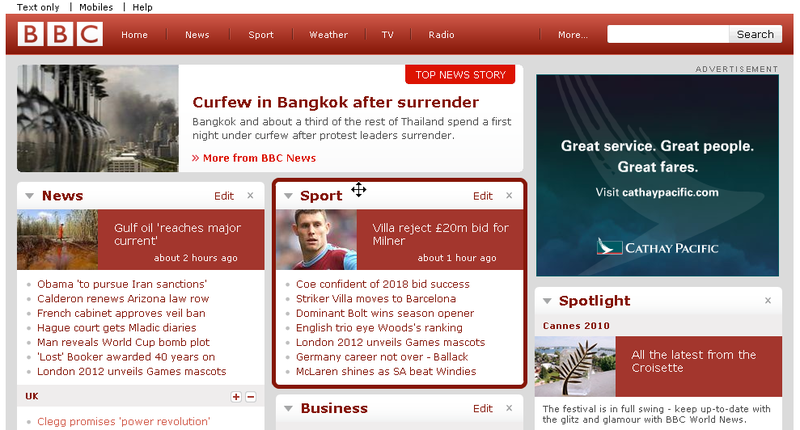 Likewise, on the homepage you have been able to personalise the news modules that appear to suit your preferences for some time. However, unless you hovered over the header of a particular module (Sport for example) and noticed the 4 way arrow cursor, you would never really know about this great feature. 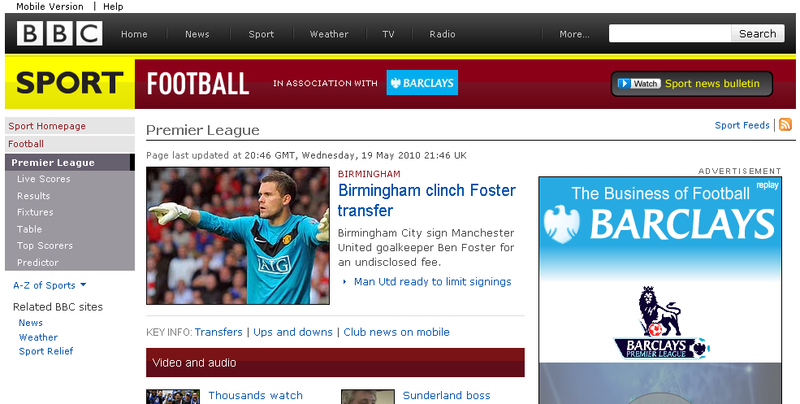 To help draw attention to this, the BBC have added a highlighted box around the area on hover. This helps draw your attention to it as you scroll around the page and will give you a better visual cue that it can be dragged and dropped to a different position. Again subtle, but a really big improvement to help aid the interaction and draw attention to the feature. Subtle design cues combined with an excellent implementation of the interaction design can really help deliver an exceptional user experience.